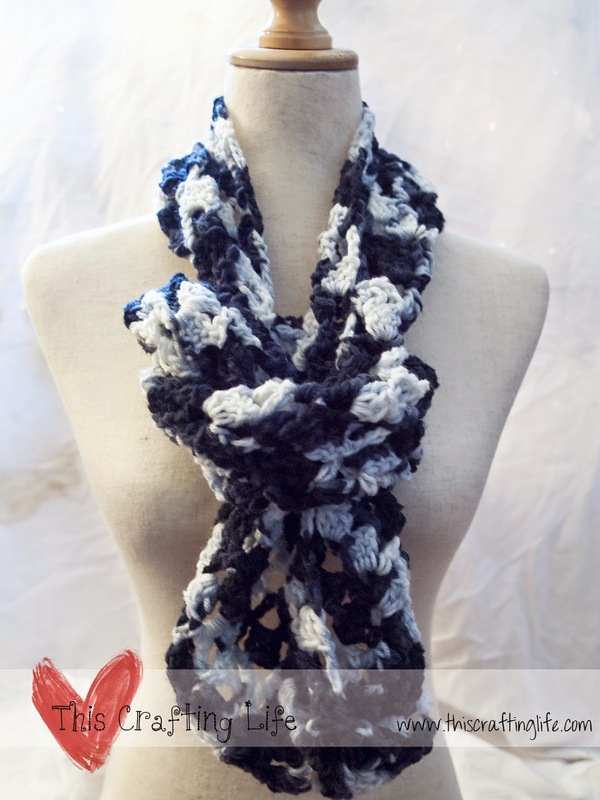 I made this scarf as something quick to add to my Christmas gift stash, and it really worked up quickly and easily. 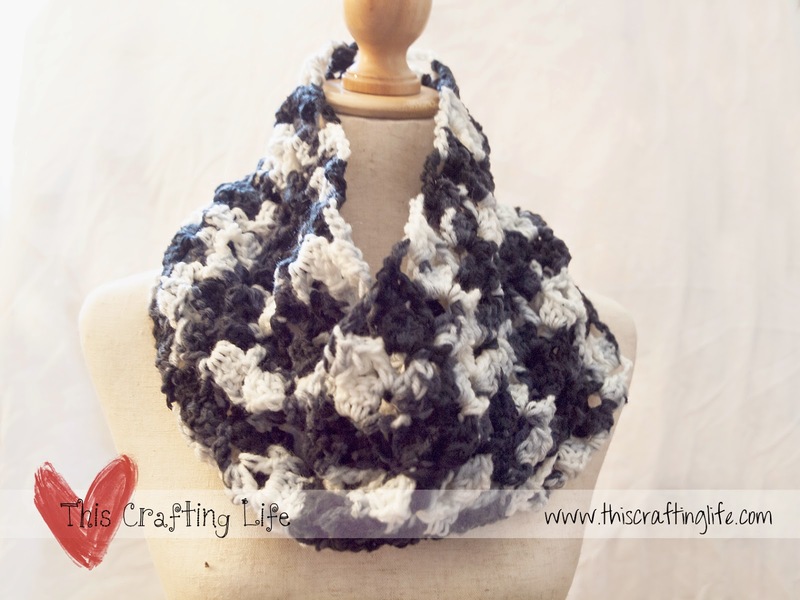 The variegated yarn adds a nice bit of color throughout and the lacy pattern is very nice. It's a very simple and easy pattern to pick up, and since you only have to remember the repeat for one row, it is a good pattern for beginners or for taking on the go. My only complaint is that the website takes a bit of time to load, but once you're there you are good to go. You should definitely try out this nice pattern! 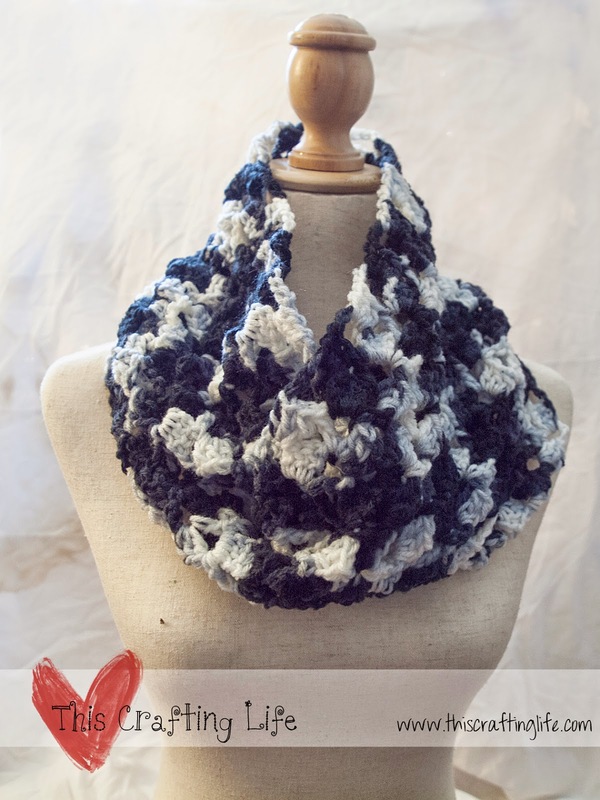 Find the Raspberry Buttercream Scarf Pattern here!